Hi, this Steak Leek and Ale Pie has a golden pastry crust, under which are chunks of melting steak and leek sitting in a thick ale gravy. 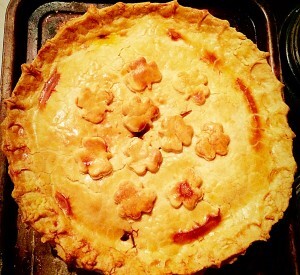 Homemade pie has to be at the top of my comfort food list. Long gone are the light, fresh salads of summer. 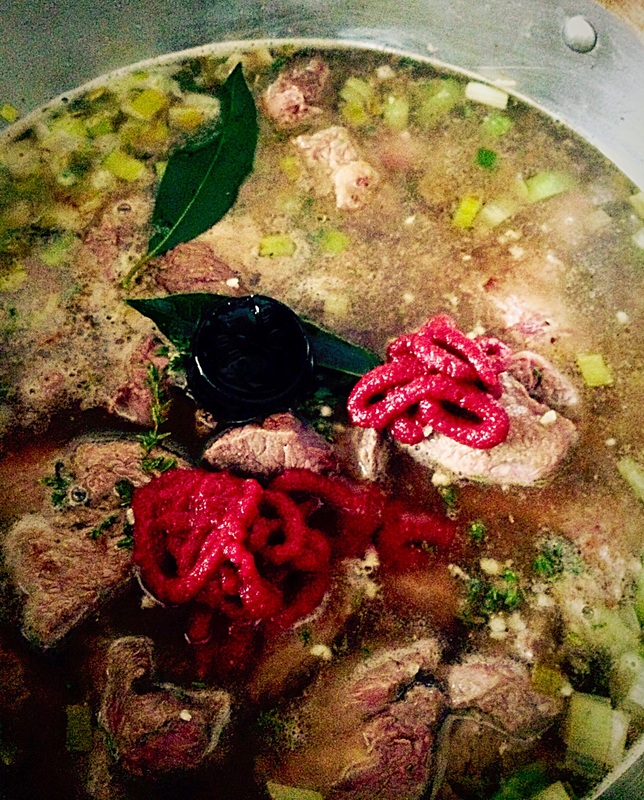 As soon as Autumn arrives, with it’s blustery gales I want proper, nourishing, hearty food. 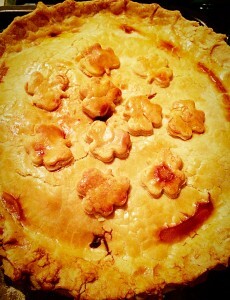 I want, I need, this Steak Leek and Ale Pie. 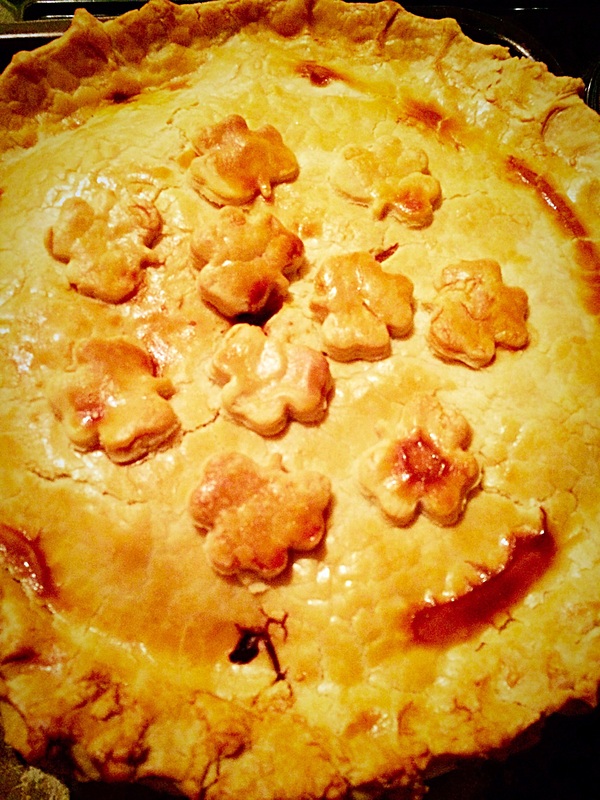 Steak Leek and Ale Pie delicious chunks of steak and leek cooked in a rich ale gravy, topped with homemade pastry . Take a look at that golden crust. 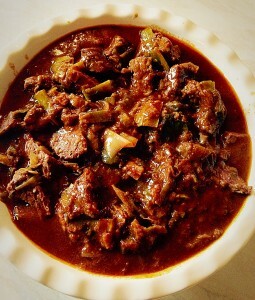 It is so inviting, willing you to cut in and discover the melting chunks of steak and leek beneath, sitting in a pool of thick gravy made with the ale. 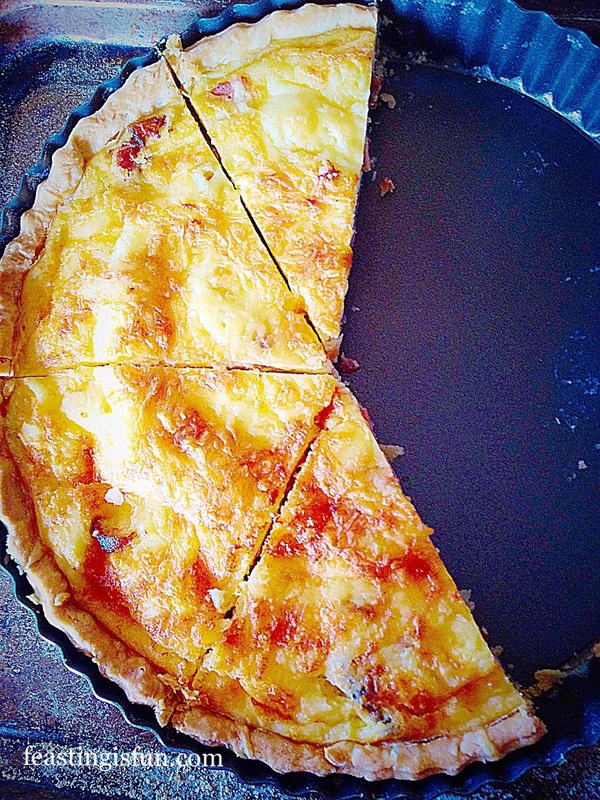 While I know making pastry completely freaks some people out, it really is worth having a go. 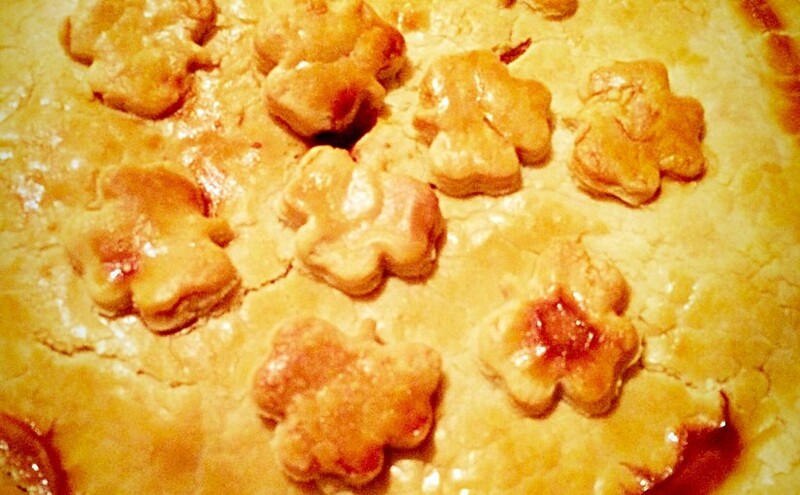 A recipe for this pastry can be found here. When you have a little time, maybe at the weekend, I really would encourage you to make your own pastry. While it really isn’t as difficult as some believe and the rewards are very gratifying. Yet, if you cannot bring yourself to make your own pastry, then good quality, shop bought shortcrust or puff pastry will also work very well. 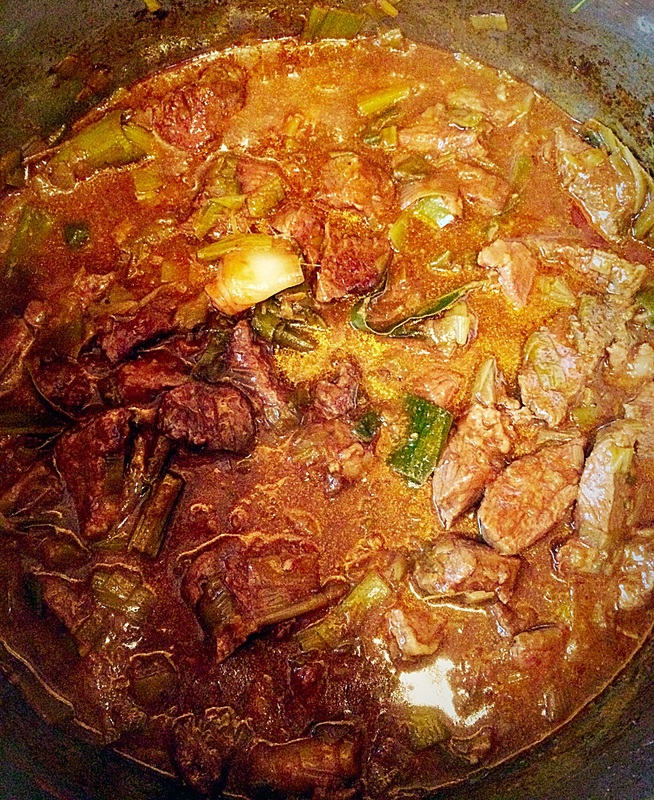 Although I made this Steak Leek and Ale Pie for a mid-week meal, it will be replacing the occaisional roast on a Sunday too. It really is that good. I have to mention the Leek Colcannon a fantastic dish of creamy mashed potatoes, steamed cabbage and sauteed leeks that I made to serve alongside this pie. Amazing! 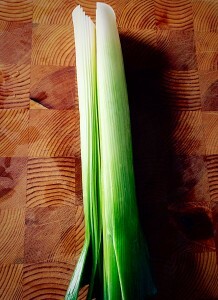 If you are wondering why leeks feature in both dishes, November heralds the start of the British leek growing season. 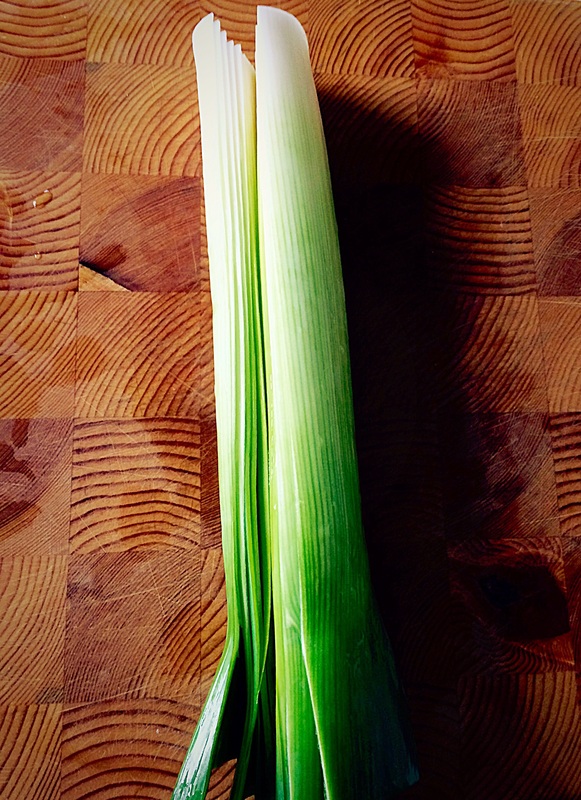 So keen to use seasonal produce, I came up with these two recipes for the British Leek Growers Association. 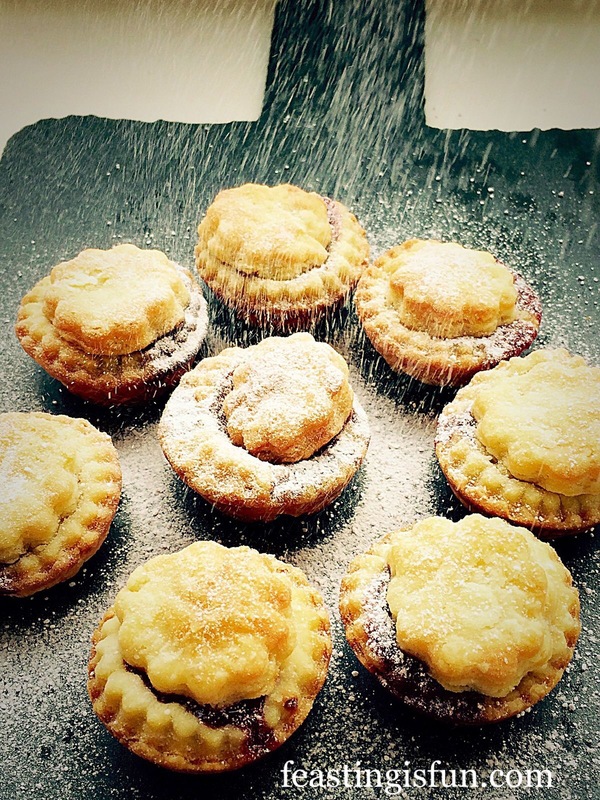 If making your own pastry, make, cover in cling film and place in the fridge to chill. Mix 2 Tbsp of flour with 1 tsp of sea salt and 1 tsp freshly ground pepper. 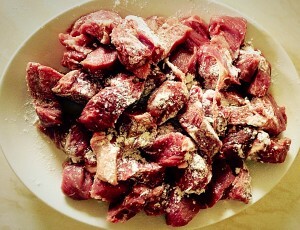 Toss the steak in the seasoned flour. 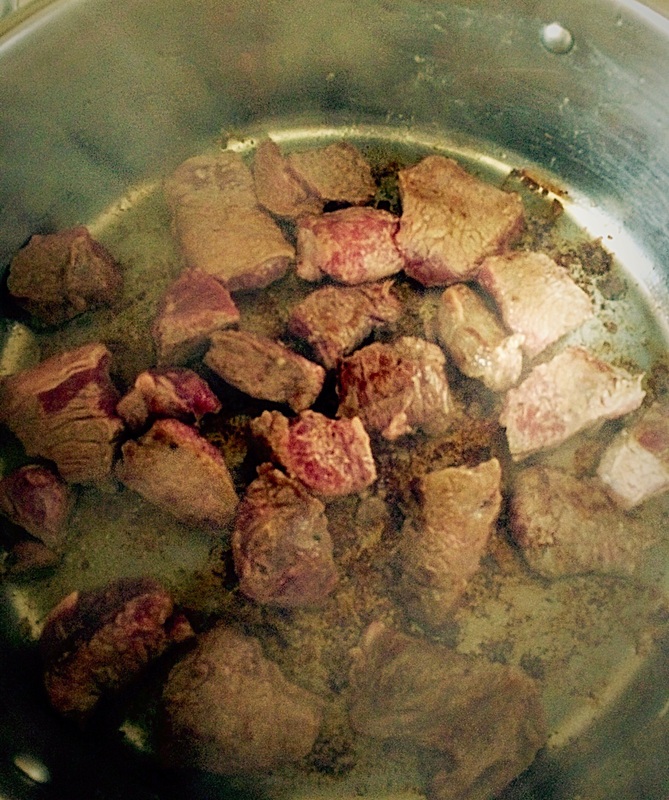 Place 2 Tbsp of butter into a large pan and melt over a high heat. Brown the steak in batches in a hot pan. 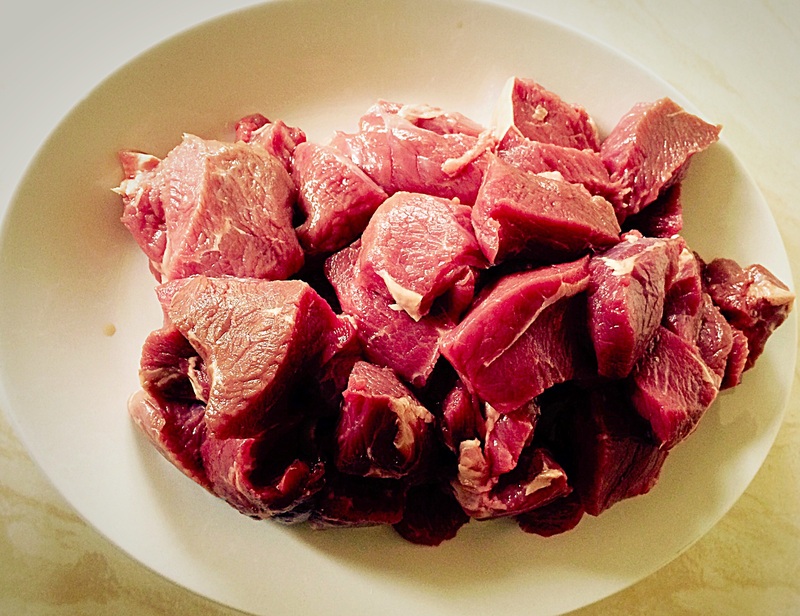 Place the browned steak in a bowl and set to one side. Prepare all 3 leeks by cutting off the tough, dark green tops and root. Starting at the top of the leek cut almost through and down two thirds. 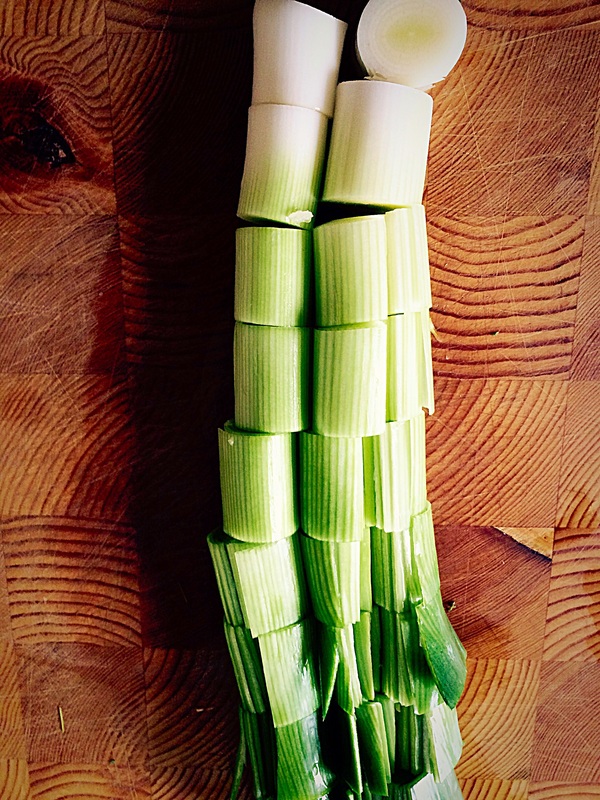 Wash the leeks under cold, running water to remove any dirt trapped between the leaves. 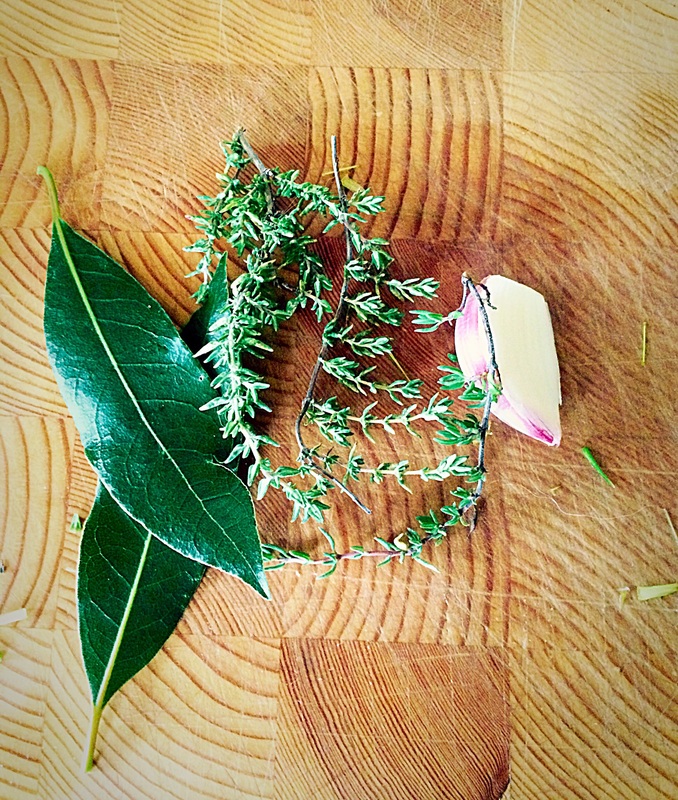 Shake off any excess water. Tip : I wash the leeks and leave them to drain upside down, before prepping other meat or vegetables. Add the diced leek to the pan used for browning the steak. 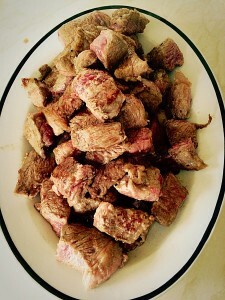 Sauté for 2-3 minutes over a medium heat. Pour in the Ale and then, using a wooden spoon scrape all the crusty, tasty brown bits from the bottom of the pan. Strip the Thyme from its stalk and mince the garlic. 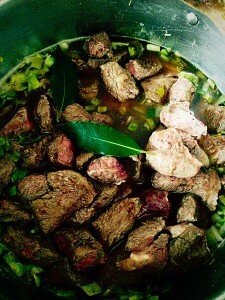 Add the steak, herbs and garlic back to the pan. Add an additional 500ml of water. 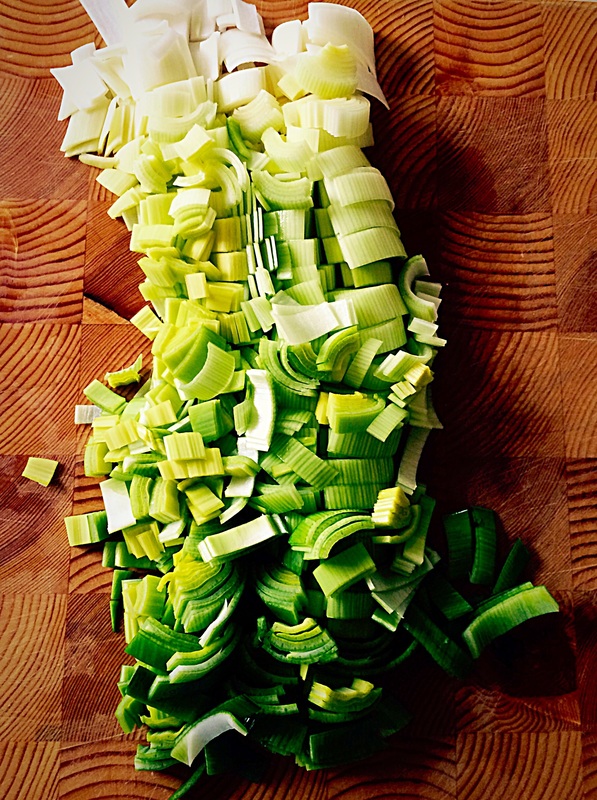 Slice the other 2 leeks into 1″ chunks and add to the pan. Now add the tomato purée, stock cube and nutmeg. Bring everything up to a simmer and leave to cook on a medium/low heat, uncovered for 2-3 hours, stirring occaisionally. At the end of the cooking time the beef should be meltingly tender and the ale gravy reduced by half. Check the sauce for seasoning. I found the salt and pepper added to the flour was sufficient, however, adjust if needed. 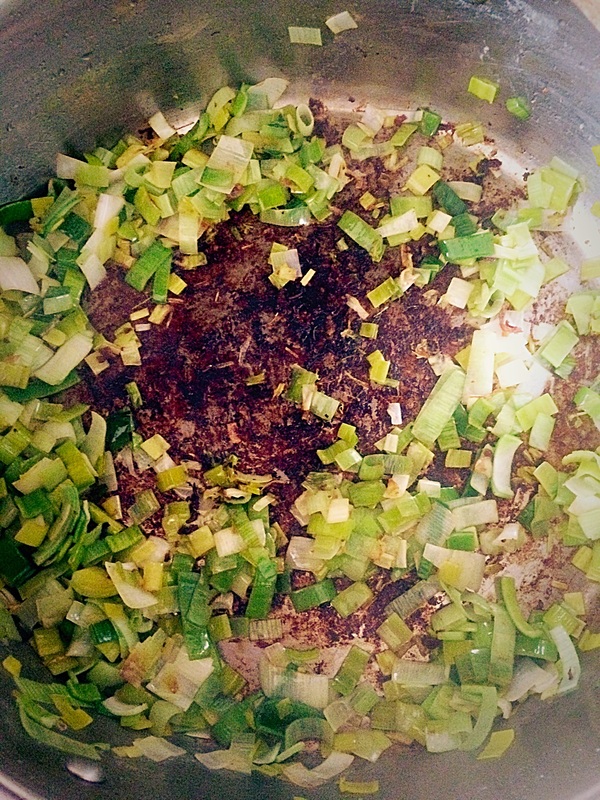 Remove the steak and leeks, using a slotted spoon and place into a pie dish. Reduce the ale gravy in the pan by half. 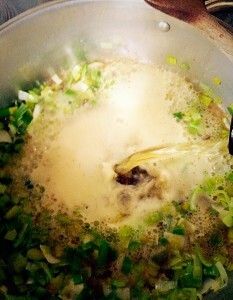 Pour the thickened gravy over the pie filling. Brush the egg wash around the rim of the pie dish. This will enable the pastry to stick to the dish. 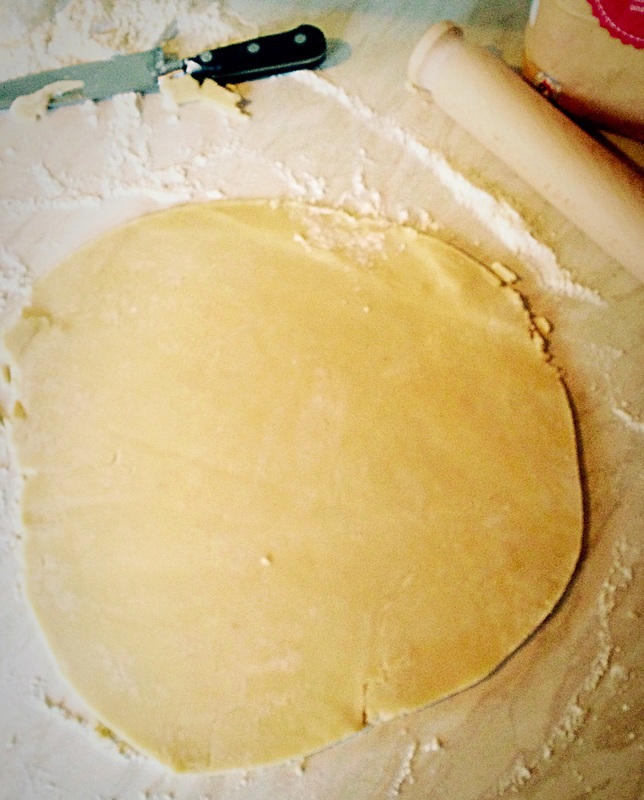 Roll out the pastry so that it is 1″ wider that the top of the pie dish. Trim the pastry so it has a neat edge. Steak Leek and Ale Pie place the pastry on top of the pie dish and crimp. 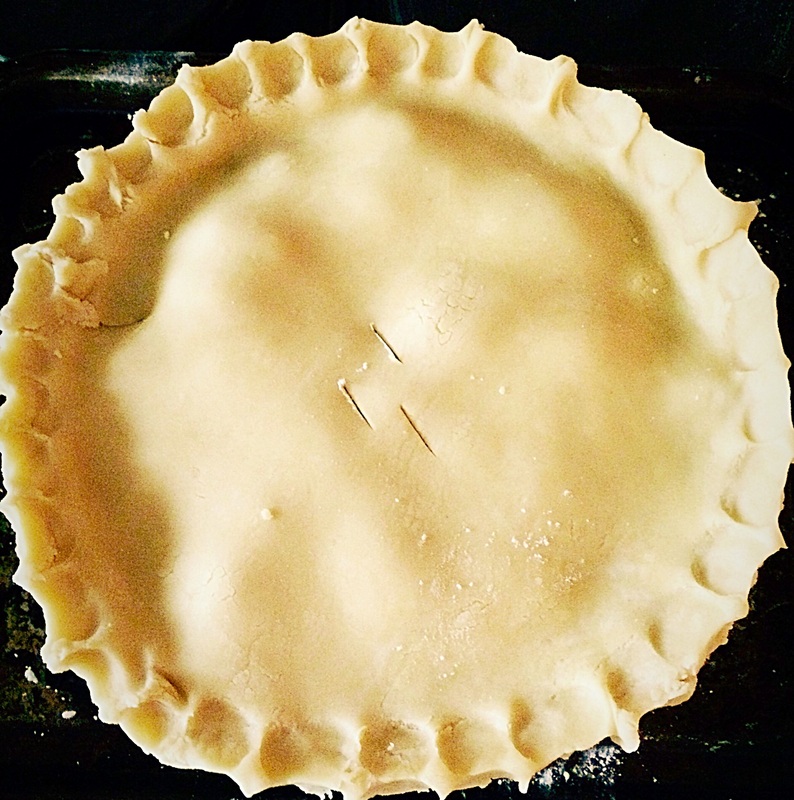 To crimp I simply pinch between my forefinger and thumb all around the pastry edge. Make 3 slits in the pastry to allow steam to escape. 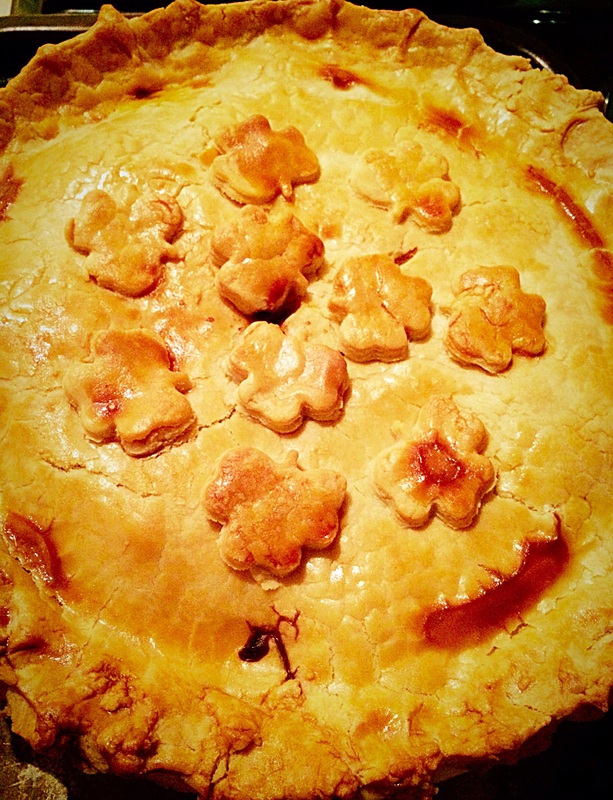 Steak Leek and Ale Pie brush the pastry with egg wash and cut out decorations from the leftover pastry. Place on the pie and brush with egg wash.
Place the Steak Leek and Ale Pie on a baking sheet and place in a preheated (200C/180C fan) oven. Bake for approximately 1 hour. 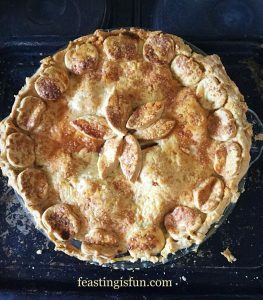 The pie is cooked when the pastry is golden brown and little bubbles of hot gravy or steam are bursting through the slits in the pie. 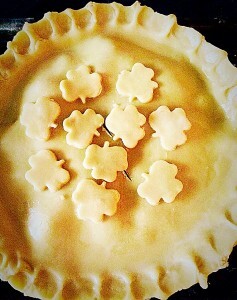 As as the pie is baked remove from the oven. Serve immediately. The leek in this pie lends a delicate onion flavour, which with the ale and steak, perfectly compliment each other. 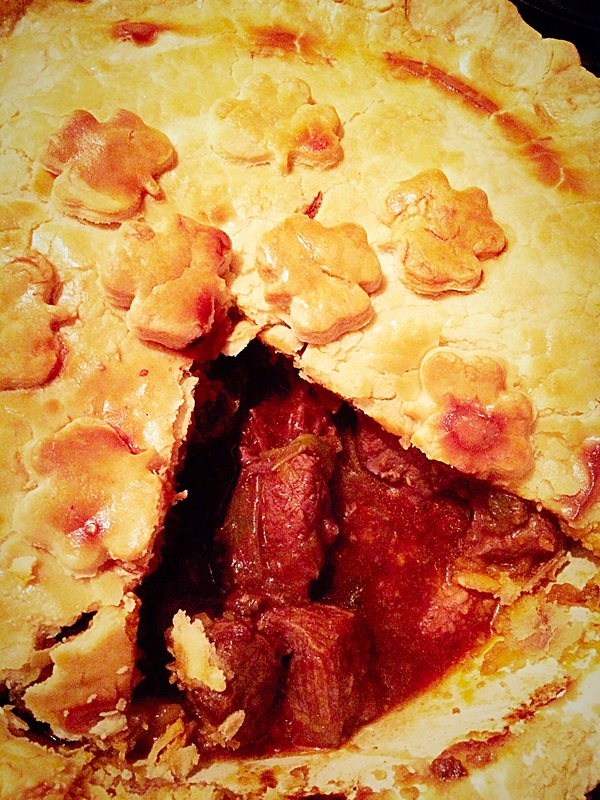 This Steak Leek and Ale Pie was thoroughly enjoyed by all in our house and my very good friend and chief taste tester – who lives 2 doors away! Also it would make perfect sense to double the quantities and make 2 pies. Since an uncooked pie will freeze beautifully, just ensure it is absolutely cool before double wrapping in cling film and freezing for up to 2 months. Or maybe pass the second pie onto a busy family, new mum, or friends. The gift of a meal, even if there is no ‘special’ reason shows that you care. 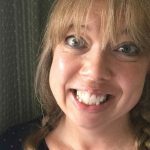 Please tell me about your pastry successes, or disasters, I love reading your comments. 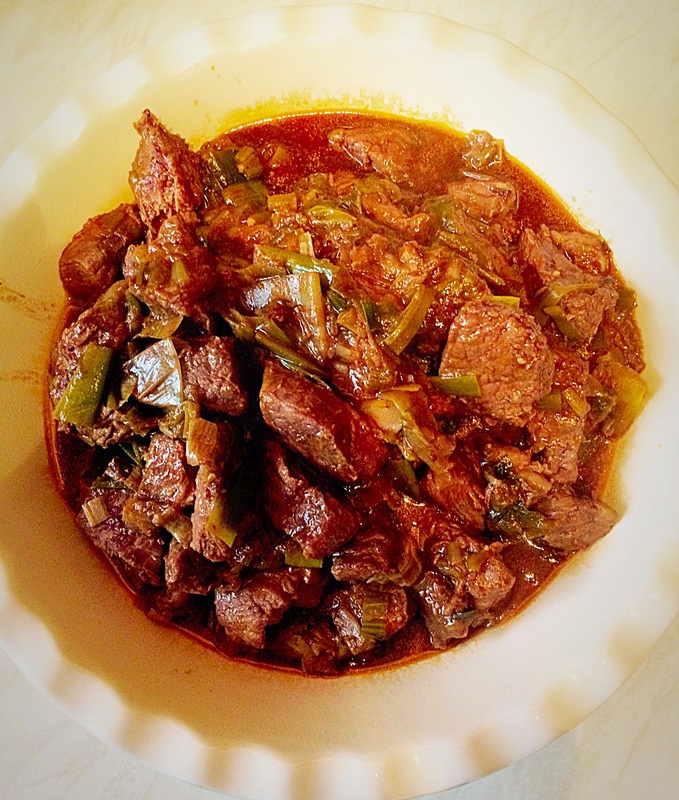 Whilst I was provided with most of the ingredients for this recipe all content and opinions are my own. I did not receive payment for this post. No part of this post may be reproduced or duplicated without the written consent of the owner. Please see my Disclosure Policy. I haven’t made steak and ale pie in forever! Your one looks absolutely scrumptious!